Image Above: Portrait by Ports Bishop. ©International Center of Photography. ANDREA BLANCH: In our interview with Mark Lubell, he claimed that you are incredibly tapped in with the millennial generation. Any comments on this assessment of you? FRED RITCHIN: Until this past December, I’d been teaching at NYU for 23 years. Every year, you get young people coming in. You ask the students what they’re afraid of, what they’re happy about, what they want to use, how they feel about media imaging every year. It’s a way to test your own ideas and find what they respond to in passionate ways. This past semester, I gave them a reading from the New York Times, on whether reading to a young child with a book is the same as giving them an interactive book. Many students felt giving them an interactive book was a form of child abuse. Then we talked about how some Silicon Valley executives send their kids to Waldorf schools with no technology. It’s like a drug; the people producing it know that you have to limit it. AB: Is their biggest fear technology? AB: Are there any advantages this generation has over the last? FR: They’re younger, so they get to learn this stuff from scratch. The older photographers knew film and paper and chemistry very well, but they didn’t know software. Now you have a generation that grew up with software, but one of the handicaps they have is they don’t know typewriters. I find in a lot of schools, ICP among them, there’s a tremendous demand for darkrooms, chemistry, film, and the older processes. AB: What are some other ways you plan to update the ICP curriculum? FR: We’re going to do the media narratives one-year certificate programs starting in September with Elizabeth Kilroy. Those courses will also be available to the other full-time programs: the documentary photography people, the general studies people, and the MFA people will all be able to take some of those courses. It looks at what you need to know in terms of digital coding, social media, data visualization, or multimedia nonlinear narratives. If you want to produce on a mobile phone, or if you want to use hashtags, barcodes, geotag, meta-tagging, etc. We’re interested in teaching them how to curate all the new media out there, from the billions of images produced daily. What are the important images coming out every hour, every minute? If I want to know something about Iran besides what the newspaper publishes, I’d like to be able to ask someone to show me 50 important images coming out of Iran in the last six months. The program teaches them to be comfortable using new media: producing it, editing it, filtering it, and curating it. We’re looking for people who are not just conventional photographers, but maybe social workers, architects, anthropologists, someone interested in politics. I always think of Robert Capa in the ‘30s, when he did his famous falling soldier picture. He was 23-years-old, and he was using a new technology, 35 mm cameras, without which he never could have taken that photograph. The question with Instagram is: what does it allow us to do that’s interesting? AB: What are your thoughts on the direction that Mark is leading ICP? Do you both have the same vision for the future or are there some places where you disagree? FR: I think he’s right. His thought is to make this a community, a center of thinking about it all. We’d like to start a think tank here just to get people around the world asking some of these questions: why does ISIS dictate so much of what we think of in terms of imagery? While there’s hardly any imagery on climate change that has that kind of impact. Why is it that we’re finding the non-professionals making such important imagery and what do they have to teach us? Mark and I agree that we’ve got to experiment with new stuff, while we preserve and respect the past. AB: You claim that digital photography has very little to do with traditional photography, that photography is not even an accurate term for this new medium. What do you think are the major differences between the two mediums? FR: My book After Photography is about that subject. The argument there is that the analogue processes are continuous while the digital processes are discrete, you can change it pixel by pixel. Digital is code-based. It’s not an accident that at the same time we re-conceive of ourselves as code-based with DNA, we invent code-based media. This digital work is going to move into an exploration of what it means to be code-based and DNA-based. The analogue is very much like Newtonian cause-and-effect. Digital is like the quantum sense of the world. It’s like genotype versus phenotype. The old photography is phenotype, appearance. The new imaging is much more genotype, code infrastructure. When we invented the automobile we called it a “horseless carriage,” because we didn’t know what it was yet. When we did, we changed the name. It’s the same with what we call “digital photography.” As we start to move forward, we’re going to find it’s not simply a more efficient analogue photography. Once something’s in code you can output it as another medium. If I photographed you digitally, I could output it as music with an algorithm. It becomes a musical instrument. AB: What trends do you see emerging in photojournalism in the present and in the future? FR: We’ve seen a lot of photographers fired recently. There’s a sense that photographers aren’t that valuable on a website the way they might have been on paper. On paper, if it’s Annie Liebovitz or somebody of that quality, it can last for a whole week. It’s more like a painting or something tangible. On a website, often things are very small, and it doesn’t have to have so much depth or complexity. Cartier Bresson would be wasted on a website. Plus, it’s ephemeral. You may see a great image and then an hour later it’s not there anymore because they’ve updated. It’s a 24-hour news cycle. If I asked you to name the most iconic photographs in the world from the last decade, there aren’t that many. The Vietnam War and the Civil Rights movement had lots. Part of reason for that was the fact that they were works on paper and they lasted for a week or a month. On the Internet, everyone is not looking at the same stuff. They’re hiring multimedia people who can use video, sound, photography, text. There’s often teamwork too: you need a sound person, you need an image person, and so on. It’s more of a cinema model. The other angle is that the photographer is liberated to do their own stuff, like how painters in the 19th century, when photography was invented, became impressionists, cubists, pointillists. You can argue that it’s a great moment for photographers to do innovative work because they’re against the mainstream at this point. AB: You have said the most important and iconic images today are coming from amateurs. What can professional photojournalists learn from amateurs? FR: If you look at Robert Frank in Americans, in a way he was a professional working like an amateur. He was intuitive. He was following his own muse. I think social media is pointing to this idea that, just like Jacques Henri Lartigue or the snapshot photographers, sometimes it’s just good to work in an idiosyncratic, intuitive way. It’s loosening. I always think of Imelda Marco in the Philippines. The great image was of her shoes, but that’s something a five-year-old would be interested in. We need more and more people working in the margins, showing us stuff that we wouldn’t normally think of, and that way it penetrates. 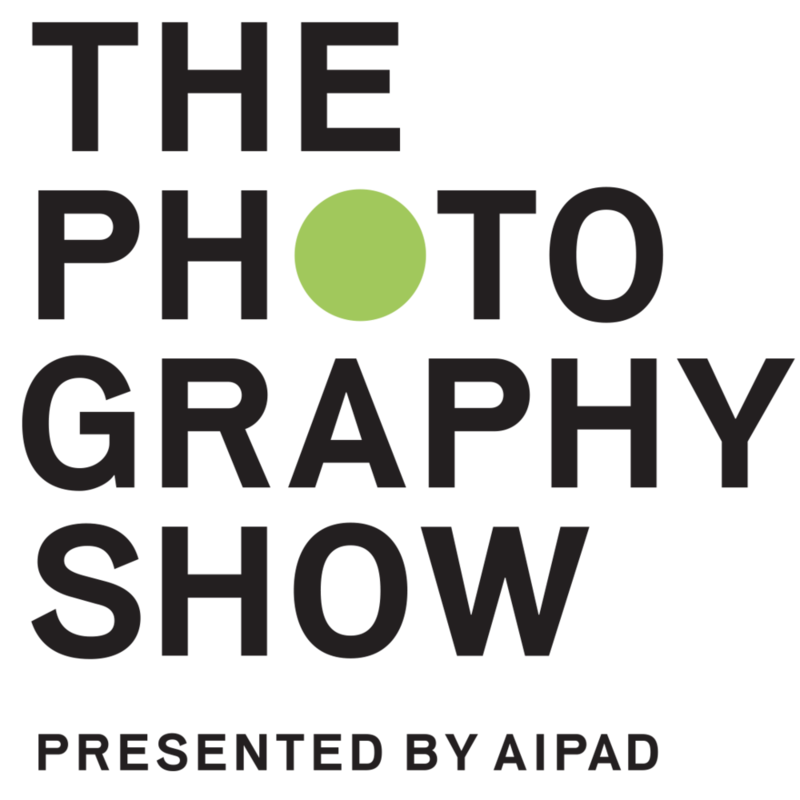 AB: Are there any photographers or photojournalists working today who you think are radically defining the new medium? FR: I think Jonathan Harris, who is a computer programmer, a photographer and an artist, is somebody who’s doing extraordinary things in terms of storytelling. There’s one where he’s following indigenous people on a whale hunt and you see the rhythm of the images speed up according to his heartbeat. Jim Balog’s extreme ice survey, where he put cameras to go off automatically so that scientists and others could see the melting of the glaciers. The nice thing is you cannot say there’s one or two movements, there’s many. It’s like 1920 in Paris. If somebody said, “Could you just say the interesting painters or artists?” There would be so many that you’d want to point out. I think we need more experimental work. It could be a poet using imagery, it could be people making use of imagery from surveillance cameras. AB: Considering all that you’ve said, what do you think is the biggest controversy in photography today? FR: I think the biggest controversy is its worth. I did a panel years ago at NYU with professional photojournalists, and I asked the question, “What does the professional offer that the amateur doesn’t?” There were two answers: “We can rely on the professional not to fabricate,” and, “They’re better at photo essays or longer form.” I’d like a more complicated answer than that. We fought so hard for photography to be accepted as an art form equivalent to painting and the other arts. Photography is really asking to be reinvented at this point. I wouldn’t call it the biggest controversy; I would call it the biggest question. I think the answers are going to come from the practitioners, as they make their work. For me as a teacher and a dean, I’m trying to open up the ideas so that they find plenty of room to experiment. Eventually forms will emerge that make sense. I’m thinking of Sophie Calle’s project where she found the someone’s address book and then photographed the people who were in it. That’s an inventive way to make a portrait. You don’t have to copy Avedon. You can do it some other ways. AB: What are your thoughts on Photoshop, regarding digital manipulation regarding photojournalism? FR: I started writing about that in 1984 for the New York Times magazine, about the coming revolution of photography. I said we have to do something now so we have standards: what can we change and not change, what can be done and not done, or else people won’t believe it. I wrote a book in 1990 called In Our Own Image on the same subject. Then I came out with different plans such as an icon that you would put under an image like a copyright sign, in case it was manipulated, and then you could click on it and find out how it was manipulated, so the reader wouldn’t be duped. That was 1994. Always the industry said, “Don’t worry we know what we’re doing.” Now you have a case where 20 percent of the World Press Photo New York finalists were rejected for too much manipulation, but nobody’s really set up an industry standard that the public knows, let alone the photographers. The way I think of it is a photograph is a quotation from appearances. If I say something now and you change my words, it’s not a quotation anymore. If you change a photograph in a way that is not quotation from appearances then you have to tell the reader, if it’s in a journalistic, as opposed to an artistic, context. The only question then is where do you draw the line? If you darken the sky a little bit, is that okay? The journalistic industry has been very slow to come to standards that are publicly known. How can 20 percent be rejected? They must not have known the standards. We need a big discussion about that, but also once you lose credibility it’s hard to get it back. That’s why I thought 20 years ago we needed to talk about it. In some ways it’s good because photographs have never been the truth anyway, they’re just an interpretation. But we want to know which ones are fact-based interpretations and which ones are not. If you go to a bookstore, you know what’s fiction and nonfiction. In photography, is Cindy Sherman fiction or nonfiction? Is Ansel Adams fiction or nonfiction? We don’t even know how to apply the terms. AB: What do you think the future of print is? In 10 years, will we be looking at anything on paper? Is there a future? FR: I think that there will be things in print, but they will be things that deserve to be on print, things where the print brings a different texture, a different permanence. A lot of things don’t deserve to be on print. You see more and more photographers with these oversized publications now in print. They’re kind of screaming out, “Print is important and my pictures need it!” Either it has to be printed well or the print has to serve a purpose. That’s all to be decided, but I certainly think print and printed photographs will continue to be very important.